Showing results by author "Karen Wright Marsh"
Saints are people too. The word saint conjures up images of superstar Christians revered for their spectacular acts and otherworldly piety. But when we take a closer look at the lives of these spiritual heavyweights, we learn that they also experienced struggle, doubt, and heartache. In fact, we learn that in many ways they're not all that different from you and me. 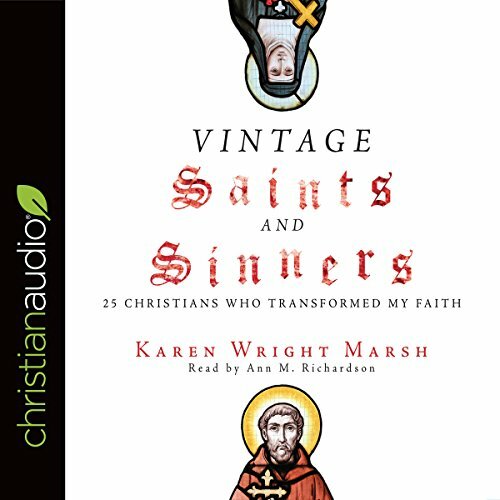 Narrating her own winding pilgrimage through faith, Karen Marsh reveals surprising lessons in everyday spirituality from these "saints" - folks who lived and breathed, and failed and followed God. Some inspiring stories. Mediocre narration.